My dad was a soldier with the Canadian army who fought in World War II. Every time I read a book about the Canadian Forces in that war I think of him. He came into the war after the tragic raid on Dieppe, which I am thankful for as if he had been there, I might not be here. 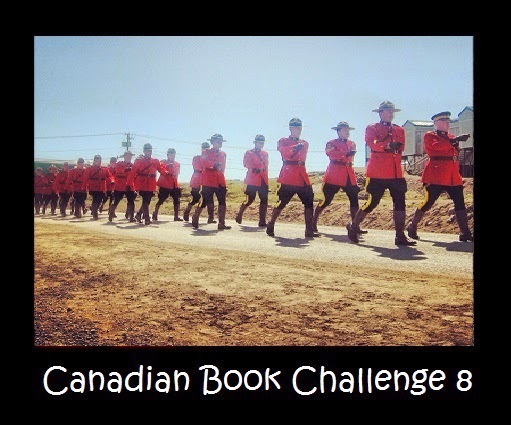 So many Canadian men died on the beach that day. If he had been there that day, he too might not have made it out. When he was alive and I was young, I remember asking him why the raid even happened. Joint Canadian and British forces were to land in Dieppe France, take the town, hold it for a few hours, then return back to England. To me, it sounded pointless. He told me what many have said in the years after it was a practice invasion to know everything that would be needed for when the D-Day invasion took place. I was never satisfied with that answer. To me, it was a senseless waste of life. David O'Keefe claims to know the real reason behind this mini invasion and details it in his book, One Day in August. One of the most important Canadian non-fiction books we have published: the groundbreaking, thrilling, ultra-secret story behind one of WWII's most enduring mysteries, which fundamentally changes our understanding of this sorrowful event in Canada's past. 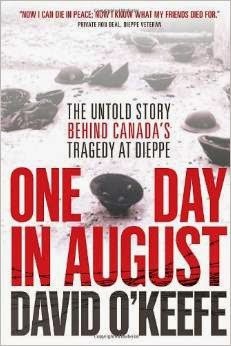 The Dieppe Raid--the darkest day in Canadian military history--has been one of the most perplexing mysteries of WWII, when almost 4,000 Canadian amphibious troops stormed the small French port town, only to be ambushed by the waiting Germans, slaughtered, wounded or captured. This catastrophe, coupled with the 7 decades-long mystery surrounding the reason for the operation, left a legacy of bitterness and recriminations and controversial charges ranging from incompetence to conspiracy. O'Keefe's detective-like research over 15 years in the Intelligence archives of 5 countries now reveals that it was a vitally secret "pinch raid," organized by British Naval Intelligence and the Joint Intelligence Committee. The mission: under cover of a raid to secretly steal the German code books that would unlock the Enigma cipher machine that held the key to the German High Command's plans. One of the key figures behind the mission, along with Mountbatten and Churchill, was Commander Ian Fleming, waiting in a ship off-shore for the code books that might have saved countless lives and shortened the war by some years. Then book is both meticulous in detail, interesting and thrilling to read. O'Keefe details Britain's success early in the war in cracking German codes and messages, with the clever theft of German Enigma machines that gave the British navy the knowledge of where German subs were so supply convoys from Canada could safely make it across the Atlantic. When the Germans came up with a revision to the machine, Britain was blind and the convoys they desperately relied on came through in far fewer numbers. The country was starting to starve. Britain needed to get a hold of the new Enigma machine and its codes and that was the secret target of the Dieppe raid. I am not giving anything away here as it is easy to tell from the first few pages what the mission was. O'Keefe tells the story well of how it got to that point. I enjoyed the read but was appalled by the horror the men suffered on the beach. The story is so well told. One thing he mentions early on in the book and in the closing chapter was a quote by one of the men who survived that day but saw many friends fall, "now I can die in peace. Now I know what my friends died for ..."
A compelling book worth reading.